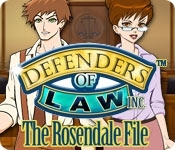 Take on the role of a seasoned lawyer and become one of the Defenders of Law. Someone has murdered sweet Miss Rosendale and your client has been falsely accused. It's up to you to prove your client innocent by gathering evidence at crime scenes, analyzing ovidence, and using it in court. 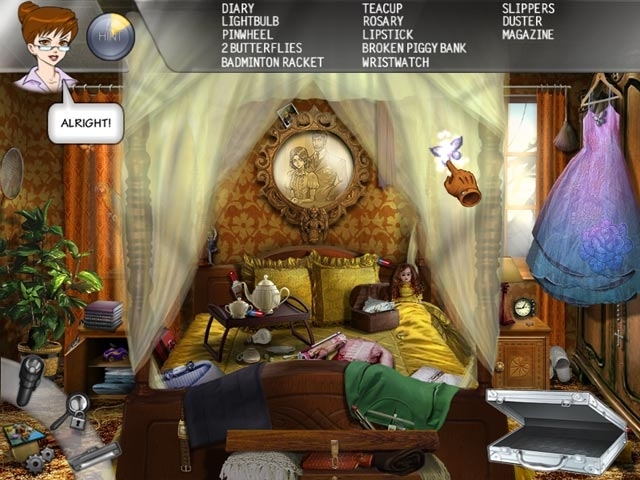 Convince the jury by presenting the clues you find by scouring gorgeously hand-drawn scenes in this Hidden Object adventure! The murderer, weapons, suspects, and motives change each time you play, for a unique experience!